News from Resipole Studios today is that “the Spring Equinox is here and there is a warmth in the air.” Further north, there is still a sharp bite to the wind here, and although the daffodils are already flowering, the wind chill tells me that they may be getting ahead of themselves a little. Having launched ART NORTH magazine with a distinctly Arctic theme at the end of February, I was always a little curious about what readers would be making of it as we neared our upcoming Summer Issue (due 1 June); given that we are a quarterly magazine, what seems apt and timely for late February may well be less so for early-summer. Would the Arctic theme of issue 1 seem out of place in the warmer days of late May? We shall see. For now, the Arctic theme of our debut issue is not yet an ‘incongruity too far’, I think, and that is underlined by the fact that Jane Rushton will be giving an artist’s talk tonight at Resipole Studios on the theme of ‘Arctic Artists’. It was Jane who authored the four-page feature titled The Draw of the Arctic in our current issue; a text that highlighted the appeal of landscape beyond the Arctic Circle for Scottish artists in particular. 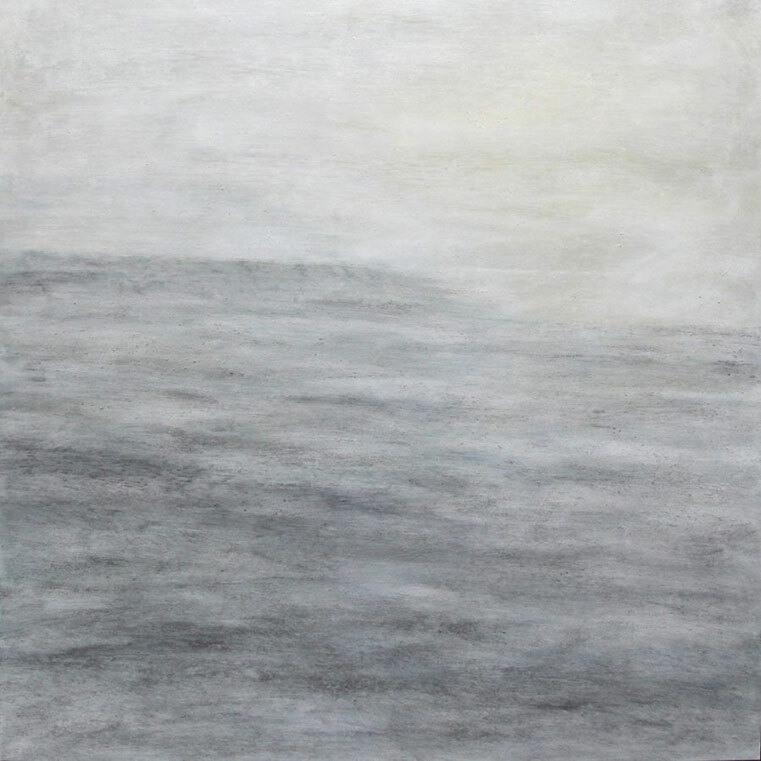 As the team at Resipole, which is currently hosting an exhibition of Rushton’s works, state: “writing in response to her piece Sastrugi: Into the Light (pictured above), Jane Rushton beautifully paints in words the first shifts towards Spring in the Arctic. Rushton’s talk, which takes place tonight (Thursday 21 March from 6-7pm), will surely be well worth venturing out to Resipole Studios, whatever the weather, and I wish her all the best with it and hope she has an attentive audience. For those not able to make it, you can read an edited transcript of a previous talk that she gave, which appears in the current issue of the magazine – or why not combine the two? Resipole Studios is now one of our stockists for the magazine, after all, so maybe pick up a copy of the magazine while you are there. Jane Rushton was born in Lancaster in 1955. She studied, as a mature student, at Lancaster University graduating with a First in Visual Culture, and an M.Phil. in Art: Practice and Theory. She subsequently worked for many years as a lecturer in 20th Century Art History, and as Studio Practice tutor in the disciplines of Painting and Drawing. Her art has always been rooted in landscape and expresses something of the experience of being within the northern environments to which she is drawn, rather than depicting them directly. She is based in Mallaig in the West Highlands.